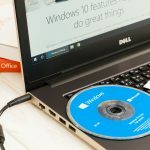 Windows 10 MS refers to one of the major features of the recently introduced Windows Virtual Desktop (WVD), Microsoft’s virtual desktop offering delivered via Azure. As the tagline implies, it enables multiple users to remote into a single Windows 10 instance at the same time. Basically, when you create a Windows 10 MS virtual desktop, one of the operating system disk images you can choose from the Azure gallery is “Windows 10 Enterprise Multi-Session.” So Windows 10 MS is really one of the image options for WVD. Although session-based virtualization is nothing new in Windows, the way it’s currently being delivered (i.e. through Windows Server) presents a few but easily noticeable limitations, especially from an end-user perspective. Currently, users have very limited—or sometimes even zero—access to certain applications/services, like the Microsoft Store, Cortana, and Edge. With WVD’s Windows 10 MS, users can have full access to those services and even Office 365 ProPlus. In addition, because Windows 10 is really a client operating system (unlike Windows Server, which is designed for server use), this virtual desktop solution has better client-based application compatibility. That means it can enable you to virtualize and deploy other commonly used software applications more easily, like Google Chrome, Adobe products, and many others. While those benefits are more beneficial to end users, this new Windows 10 MS capability is also good news for CFOs, corporate finance managers, CIOs, and IT managers. When a single virtual machine can support multiple sessions/users concurrently (as opposed to the virtual desktop infrastructure (VDI) approach where each virtual machine serves a single user), it results in a more efficient utilization of computing resources (e.g. vCPUs and RAM). In turn, that translates to lower virtualization costs. Lastly, because Windows 10 MS is part of WVD, it’s delivered through the cloud (specifically Azure). In other words, not only is it highly scalable, it can also be accessed through almost any device—even those that don’t have the computing resources to run it locally. Need more info about Parallels RAS integration with Microsoft WVD? Contact us! BrianMadden | Windows Server 2019: Session Host is dead! Multi-user Win10 instead?